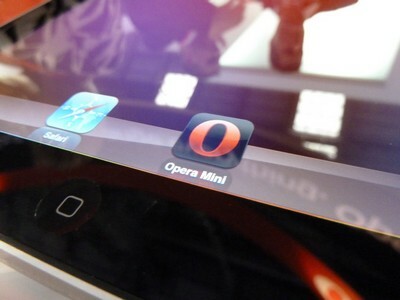 Earlier, we reported on Opera Software, planning to release a dedicated version of the Opera Mini web browser for the iPad, at the on-going Mobile World Congress 2011 (MWC 2011) in Barcelona, Spain. Things turned out all red, as Opera was seen busy demonstrating its Opera Mini for iPad at the event. Just like the Android and Windows 7 tablets, the web browser would be available for free in the App store. The Opera Mini web browser has been officially released and is now waiting approval from Apple App Store. It’s not been approved yet by Apple, but it’s awaiting approval. We expect it to be out soon. Opera Mini claims to be the fastest smartphone web browser with over 100 million users worldwide. Initially Apple had rejected the app on its App Store which acted as a direct competitor to the very own Safari browser. Apart from Android and Windows 7, the Opera Mini grabs a share from the iPhone version. Apple should approve it :) nice to hear about this new arrival…….